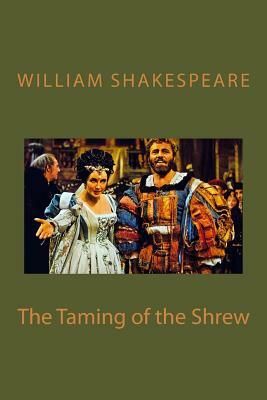 The Taming of the Shrew by William Shakespeare The Seagull is the first of Anton Checkov's four full-length plays. It explores the romantic and artistic tension in the relationships between a young woman, a fading older lady, her playwright son and a popular story writer. The play references Shakespeare's Hamlet both in text and content. It has a cast of eclectic characters whose principle dramas play themselves out off stage and in unvoiced subtext. We are delighted to publish this classic book as part of our extensive Classic Library collection. Many of the books in our collection have been out of print for decades, and therefore have not been accessible to the general public. The aim of our publishing program is to facilitate rapid access to this vast reservoir of literature, and our view is that this is a significant literary work, which deserves to be brought back into print after many decades. The contents of the vast majority of titles in the Classic Library have been scanned from the original works. To ensure a high quality product, each title has been meticulously hand curated by our staff. Our philosophy has been guided by a desire to provide the reader with a book that is as close as possible to ownership of the original work. We hope that you will enjoy this wonderful classic work, and that for you it becomes an enriching experience. The Taming of the Shrew by William Shakespeare The Taming of the Shrew book The Taming of the Shrew full text The Taming of the Shrew Author The Taming of the Shrew pdf.